With the creamery four miles from the farm, we transport our milk to the creamery on cheese making days. Debora milks the cows and still ships to St. Albans Cooperative. We make small batches of cheese only 8 to 12 times per month and increases it according to demand. We milk registered Holsteins and Brown Swiss cows that are on rotational grazing in the summer months and fed grain and hay during the winter. We started in June of 2009 and plan to make cheese year around. Debora milks about 30 cows per day and receives awards for the quality of milk she produces. Stan, a graduate of Paul Smith’s College, has put his chef days behind him to concentrate on our three cheese recipes. The cheese facility is in the heart of Morrisville, in the old United Farmers Creamery building. Not only did we renovate the building, but we built our own cheese cave in the basement. We wash and brush the rinds to keep them thin to ensure our product to be one hundred percent edible. Our French cheese is regularly washed using seasonal beers from a local brewery, Rock Art. In addition, we have been washing the rinds of the Chin Clip with wine pressings from Boyden Winery in the neighboring community. 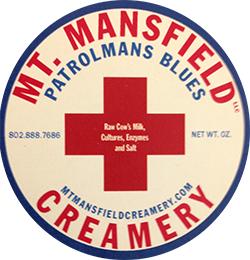 Our cheeses are presently being sold in Stowe’s Harvest Market and Mountain Cheese and Wine, Morrisville’s Green Top Market, Rock Art Brewery, and at the Creamery. 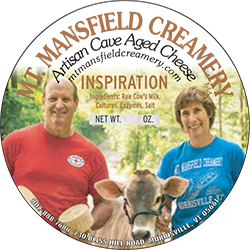 We can be found every Saturday int he summer at the Montpelier Farmers Market and evey other Saturday in the winter months…….We offer cheese making classes as well as group tastings, please call ahead for reservations. This raw milk, blue veined cheese is aged 3 months giving it a pronounced, pungent flavor. A washed rind cheese, raw milk, recipe from the Island of Corsica. The molds on the rind are typical of this French recipe. Smooth and semi-soft texture with a nutty flavor. Many times washed with beer. A favorite cheese amongst beer lovers. 2014 Yankee Magazine top four New England cheeses. 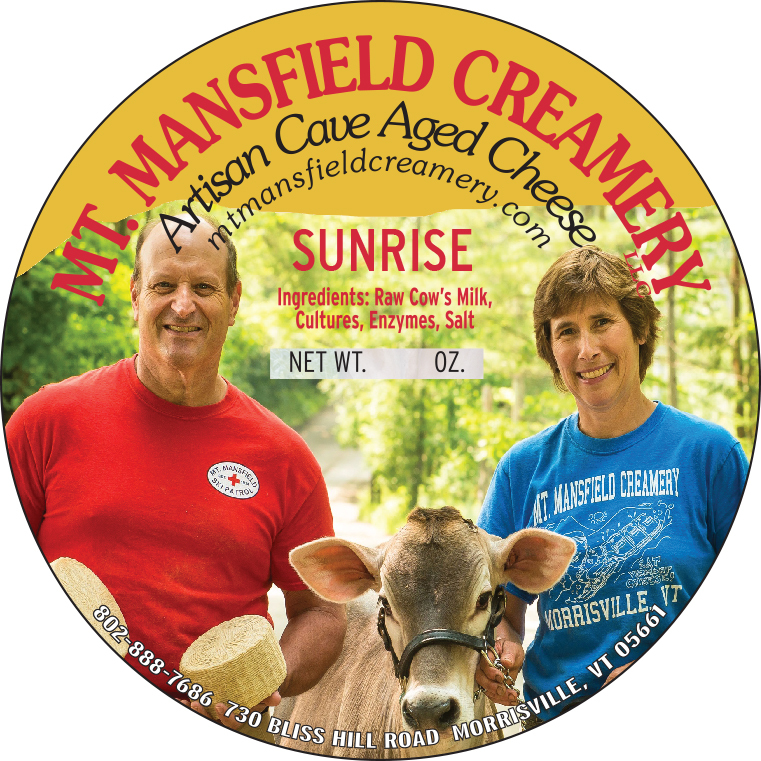 2011 American Cheese Society second place winner, Farmstead Non-pasteurized Cow Milk Category. This French Alpine Cheese is a raw milk cheese aged for 5 months. High moisture French cheese with a hint of salt at the finish. Great for fondues. Silver medal winner at 2013 Eastern States Exposition. Our herbed Havarti is seasoned with Garlic, Onion, Parsley, Celery and Chives. A true raw milk Havarti, this Danish recipe is also a favorite of many cheese lovers. Cave-aged rind kept thin allows for the full bodied flavor of this cheese. Goes great on burgers or try it as your favorite fondue. 2015 American Cheese Society second place winner, Dutch category. An 8 month cows milk Romano, rinds are rubbed with Lake Champlain’s Organic Cocoa and olive oil, 8 lb wheel. Third Place -Best in Class at 2015 American Cheese Society Competition.